A simple subtle blue and black theme. 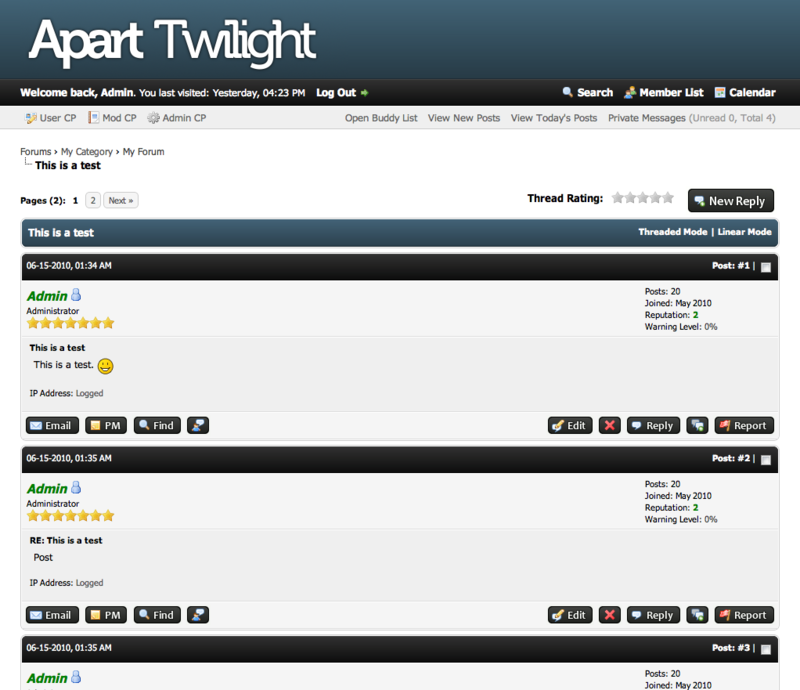 The Apart theme series for MyBB 1.6 is a set of simple yet beautiful themes in various color combinations. 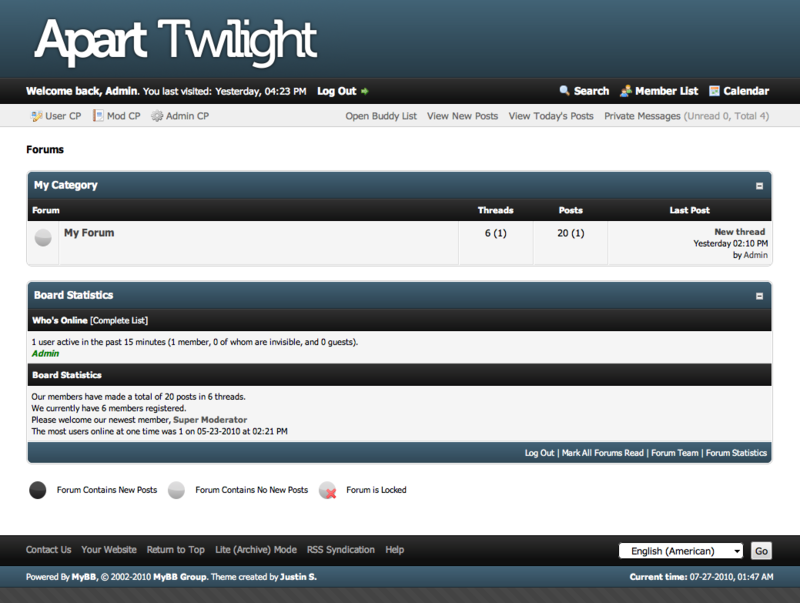 Apart Twilight uses subtle blue and black tones to create a professional yet relaxed atmosphere. Installation instructions, basic customization information, and license information are included in the package in the "READ ME FIRST" file. Customization services and copyright removal are also available. Please see the Apart theme series thread for more information. 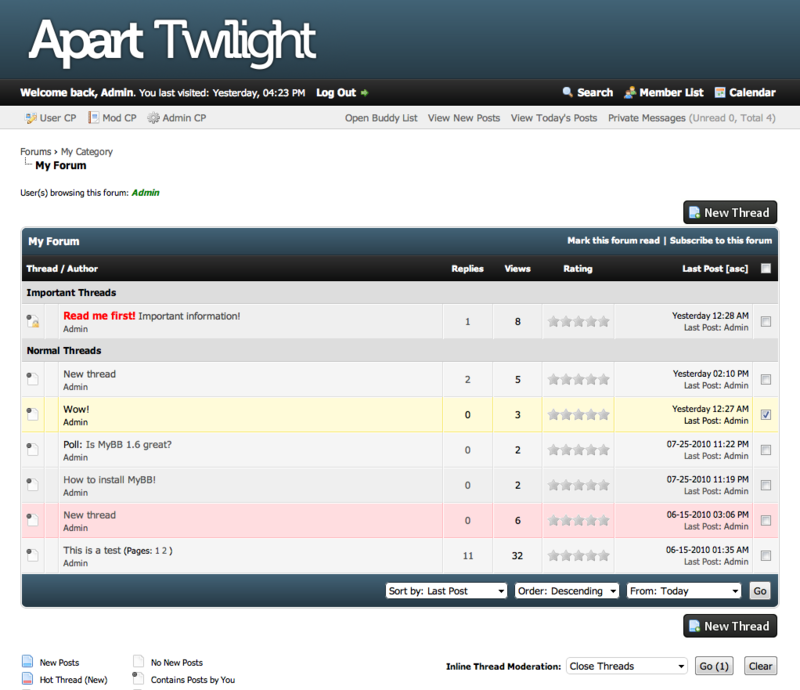 Please post questions and issues regarding this theme in the Apart theme series thread.